Sanna Holistic House was established in the year 1985 specializes in the power of ancient wisdom for Yi Jing, Feng Shui, Spiritual Healing and also Astrology. Since then, our founder Master Sanna had use his art of ancient wisdom to help many people and businesses in Singapore and across Southeast Asia. 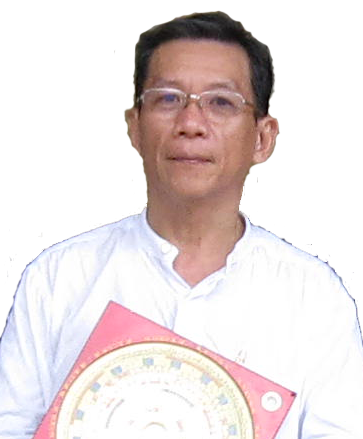 Master Sanna is also one of the few Feng Shui master in Southeast Asia that specialize in Burial/Tomb (Yin Zai) Feng Shui. Besides that, he had been featured and interviewed by various press and TV station. Master Sanna had also published two books namely "﻿﻿﻿﻿The Sanna Healing Lamp" that cover about topics like the ancient wisdom, luck and spirits. The second book "﻿﻿﻿﻿﻿﻿Ancient Wisdom For Mo﻿﻿﻿﻿﻿﻿dern Living" cover on how Feng Shui can be implement to the modern living in today's world. Besides that, Master Sanna also conducted various courses and have many students across Singapore and other parts of the world. 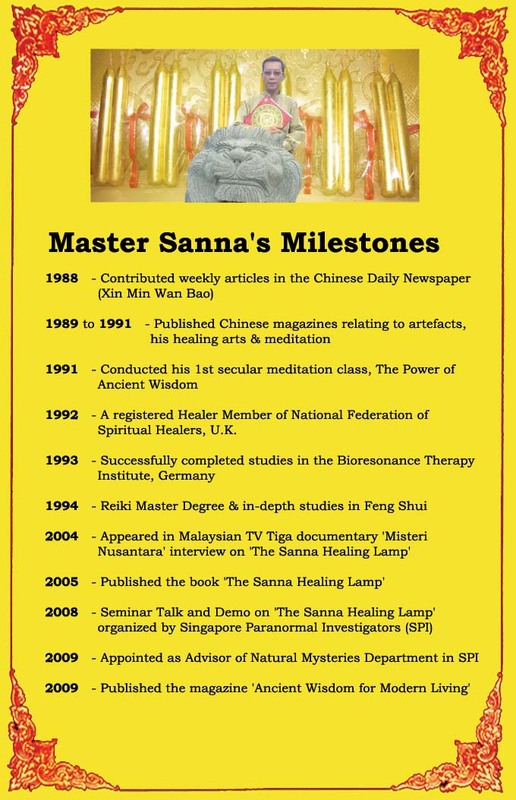 Master Sanna has achieved a couple of milestones over the years been a Spiritual Healer an d Feng Shui Master. Here are some of the achievements which our master has achieved over the years. Been equipped with the skill of spiritual healing, Yin Zai and Yang Zai Feng Shui, Master Sanna will be able to provide you a one stop Feng Shui services such as Home feng shui design and build, house cleansing, ground breaking ceremony and much more. If you are looking for someone that can help you in your home or businesses through the art of feng shui, look no further. Master Sanna will be the person you are looking for that can help you.